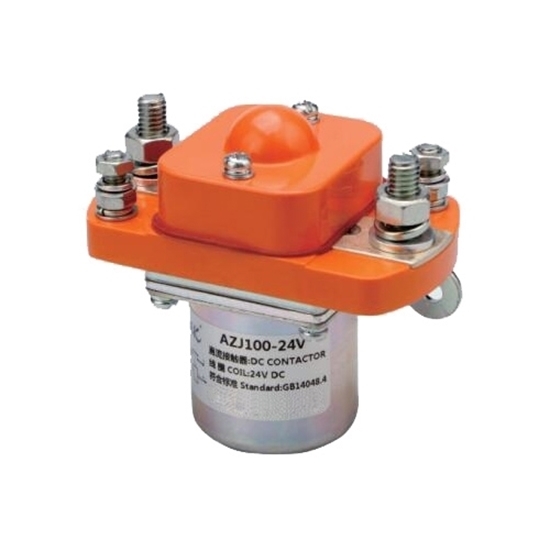 The single pole 100A contactor, SPST-NO contact form, has been designed for direct current loads, particularly for electric vehicle, telecommunication equiment, car batteries, trains, ships, electronic control system. 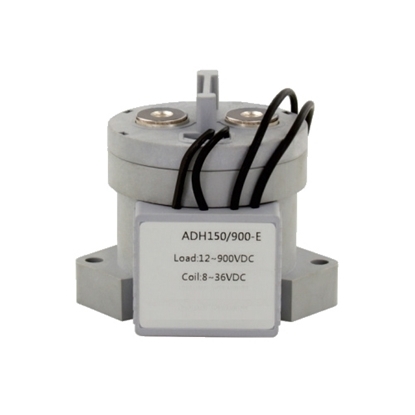 100 amps rated load current of contact circuit. Many power consumption equipment are single-phase load, therefore, several poles of the multipole contactor can be used in parallel, such as the electric resistance furnace, welder transformer. 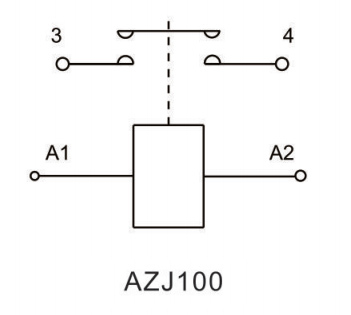 When several poles are used in parallel, a small capacity contactor can be selected. However, it has to be noticed that the heating current of parallel contactor is not completely proportional to the number of parallel poles. Because the resistance value of moving and static contact loop may not be equal, thus the flowing current may not the averagely distributed. Therefore, the current could only be increased by 1.8 times for bipolar parallel and by 2～2.4 times for triode parallel. Moreover, various polar contacts can’t connect or disconnect at a same time after parallel connection, so the connection and breaking ability can’t be improved. 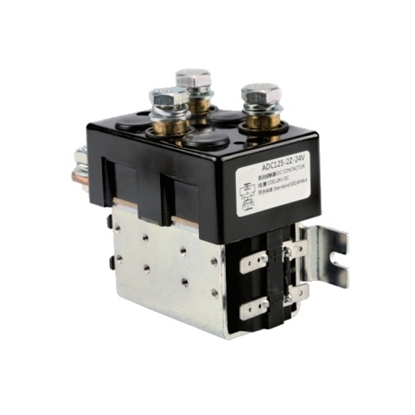 Sometimes, several contacts of the contactor can be used in series. Due to the increase of contact fracture, the arc is divided into many segments, thus improving the arc extinguishing ability and accelerating arc quenching. 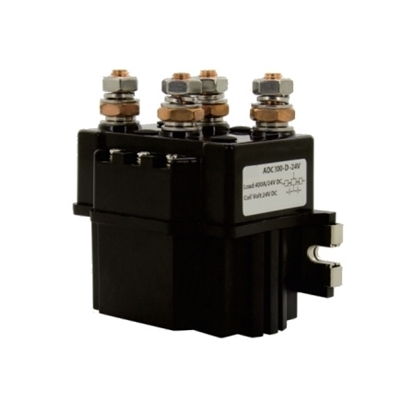 When several contactor are connected in series, the working voltage could be enhanced, but it can’t exceed the rated insulation voltage. Agreed heating current and rated working current of the contactor would not change after a series connection. It is simple to install this DC conductor if you have an electrical background. I bought this conductor for my motor home. 12 volt battery banks can put out a lot of current. 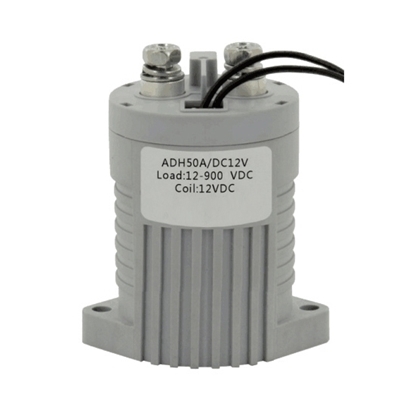 You can also choose 24V or 48V to output as you need. It is a fair price for the quality!